Knit to Woven: Dress or Tunic? My mom sewed a lot of clothes when she was younger. 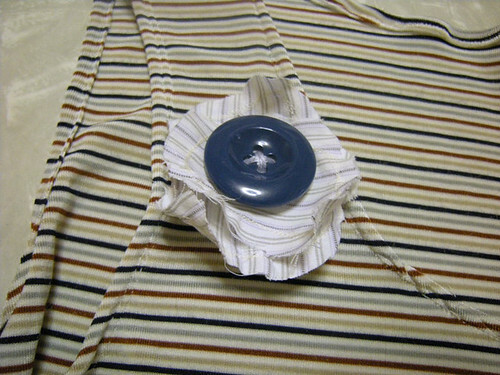 Back in her teens or 20’s she bought some fantastic fabric and made a shirt (or dress) – and she LOVED it! Until she saw some pregnant chick wearing a dress/shirt from the same awesome fabric. And then she never wore it again. The moral of the story: There is a TON of really bland and horrible maternity clothing out there, and I refuse to wear it. I’ve decided just to buy larger flowy shirts/dresses and make it work. So, I’m sorry to any of you non-pregnant women out there who are wearing the same clothes as me. 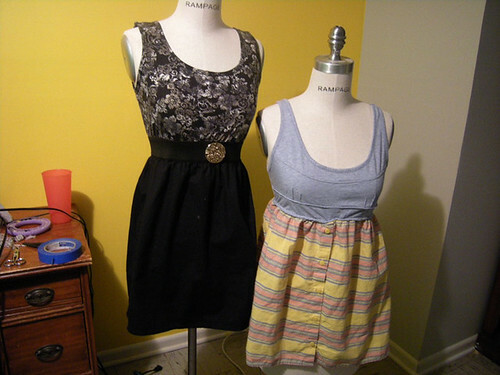 Target has some really cute dresses that are knit on top with thick elastic around the rib cage or natural waist, and either knit or cotton for the bottom. Both from Target. Left is from fall (doesn't currently fit); Right is from this spring (currently fits). These are super cute, and I’ve wanted to buy about 100 more (there are REALLY cute ones in the kids section too! 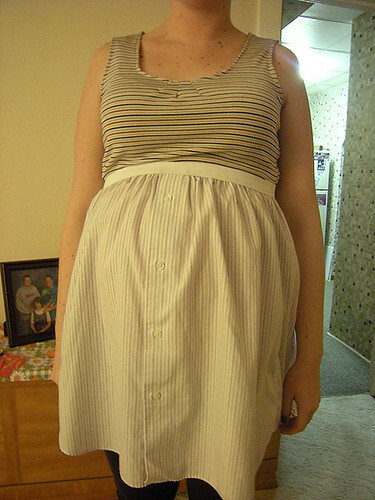 ), but as it turns out – some of them aren’t flowy enough to accommodate my expanding belly. So I decided to make my own. First things first – lets get this knit top out of the way. I still haven't mastered the art of knit hems, so the neckline was a little wormy. 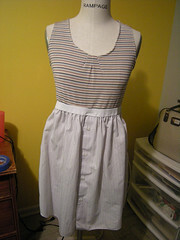 My solution was to add a couple of pleats, I think it did the job. 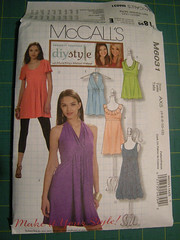 I used the top pieces from this knit dress pattern for my dress. 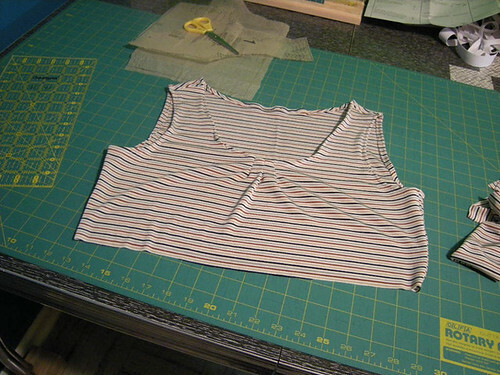 You could use any dress pattern that had separate top and bottom piece – depending on where you want the waistline to sit. I wanted mine up high since I actually have no waist right now. 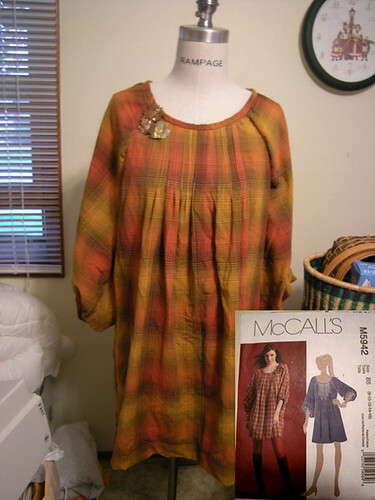 If you’re a seasoned sewer, you might not even need a pattern for the top part, I mean, depending on your talent, and how fitted you want it to be! 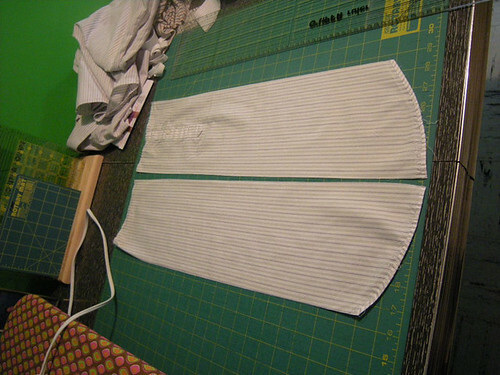 This picture above is one of the sleeves, seam ripped and cut in half. Brian’s shirt fit when I put it on, but I wanted room to grow, I’ve got two months left! 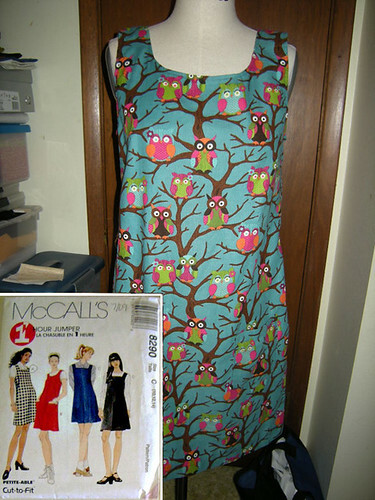 So I decided I would add a couple of inches to each side – which really came out to about 8 extra inches, but that’s ok. The dress won’t be tight! Most of you wouldn’t need to add the extra panels so you can skip this step. 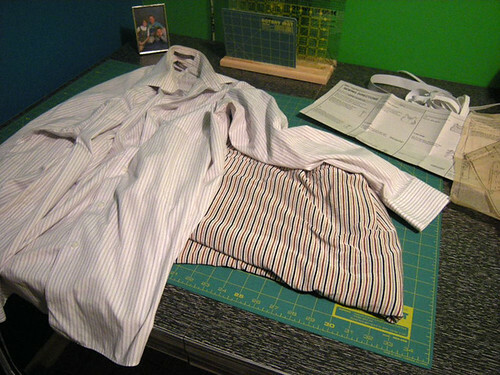 Just lay the shirt out flat, and cut across from underarm to underarm – so you have just the body of the shirt. Seam rip the pocket off if there is one. Sometimes I like to resew them on when I’m done. Close up. Don't judge my lines. Have you ever tried to sew elastic? Yeah. It's not pretty. 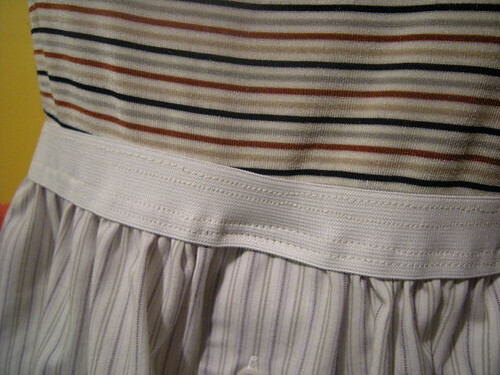 Here is a close-up of the top and bottom sewed to the elastic. The bottom was so large that I had to gather it before I could attached it to the elastic. Each is sewed on twice for reinforcement. The Dress, on the tiny manne. The dress, doing it's job. My mom reminded me (after I finished) that I need extra fabric in the front lengthwise to cover my belly! Thank you mom, but I took care of that one! I rarely re-hem the men’s shirts that I restyle – so it was already super long in the front (and back) by default (because I’m lazy). I can’t wait to wear this ensemble! Spring is *almost* here!